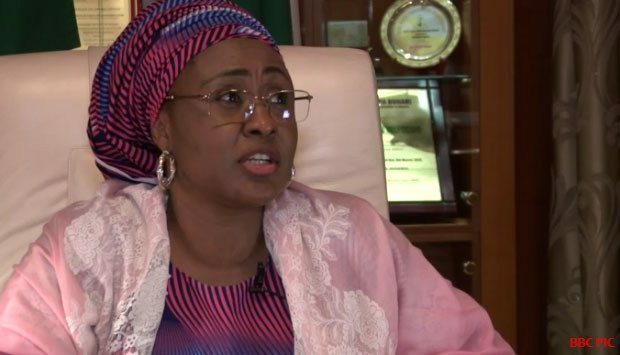 Wife of Nigerian President, Aisha Buhari, has claimed that she has not received any gift from anyone since her husband assumed office as the number one citizen of the country, warning those who would want to gift her this season to bury the idea. Mrs. Buhari made this disclosure at the unveiling of a new campaign against graft tagged, “Women Against Corruption” in Abuja, on Wednesday. According to her, she did not also intend to collect gifts as the wife of the president even in the future. for our husbands, we did not take a dime from anyone and we have continued like that till today. “I have never collected any gift and I am not ready to do so even in the future,” she said, and received thunderous applause from the audience made up of top government officials, Nigerians women and businessmen. Aisha recently sparked controversy when she openly came out to criticize the government of her husband. She had declared that Buhari “does not know” most of the top officials he appointed, and that the government had been hijacked by some persons deciding presidential appointments.